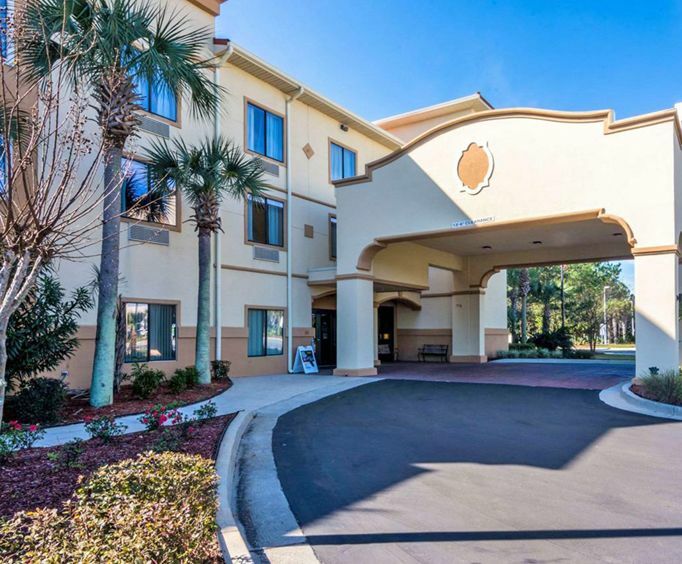 Conveniently nestled by the Panama City Beach, Comfort Suites offers a serene stay in Panama City Beach, Florida. Here you are provided with various amenities and features, such as an outdoor pool, a fitness center, a hot continental breakfast, breakfast-to-go bags and much more. Other popular tourist attractions that less than ten miles away from the hotel include Shipwreck Island Water Park, Ripley's Believe It or Not Museum, Gulf World Marine Park and St&period; Andrews State Park. As a guest of the Comfort Suites Panama City Beach Hotel you can enjoy a continental breakfast for no additional charge. The continental breakfast comes with hot food items on the menu featuring eggs, meat, yogurt, fresh fruit and cereal. Breakfast-to-go bags are also available to guests upon request. 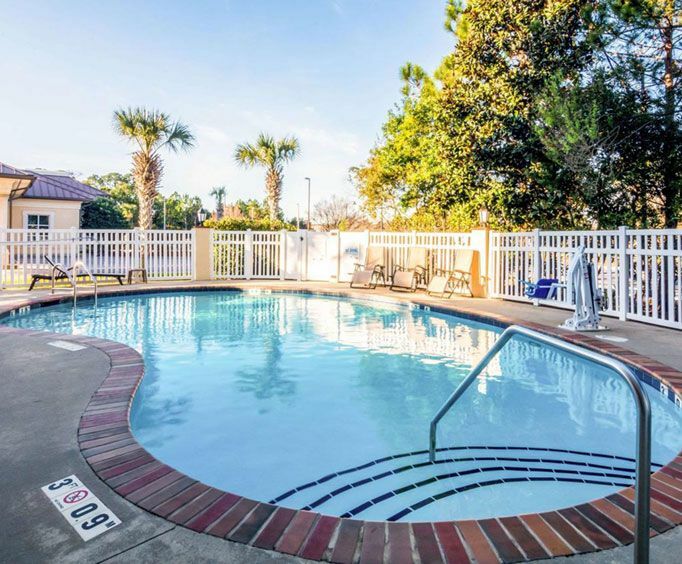 When you are a guest of the Comfort Suites Panama City Beach Hotel, you get to relax in the refreshing waters of the outdoor pool after a long day of exploring the Panama City Beach. 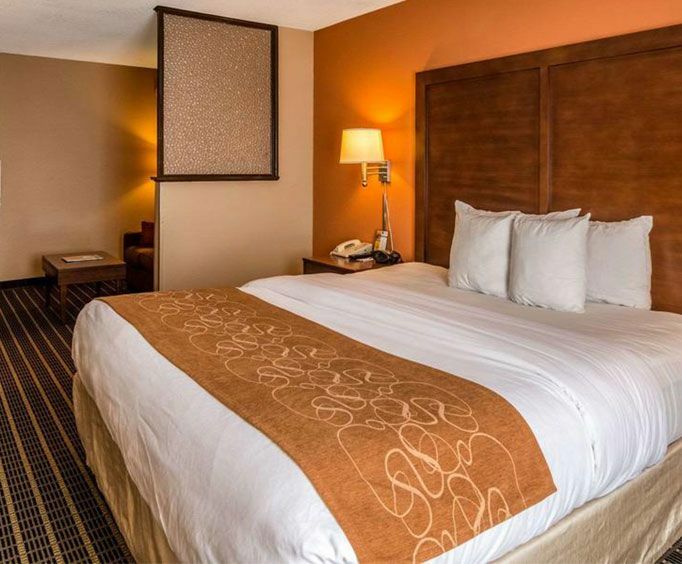 Relax in the comfort of your room while you enjoy the many amenities, which include a coffee maker, iron, fridge, microwave, cable television, free high speed internet and free local calls. For a terrific meal, head to the Zen Garden Market, located within walking distance, or drive to Saltwater Grill or Firefly, both of which lie 0.4 miles from the hotel. To shop, you can walk to The Shoppes at Edgewater, or head to the Pier Park, just 3.9 miles away.